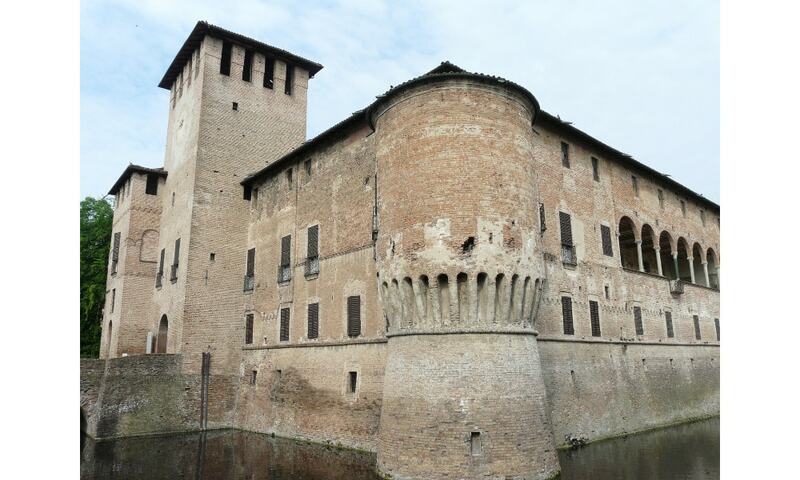 The Rocca Sanvitale is a fortress residence in the form of a moated block, accessible through a drawbridge. Construction was begun in the 13th century, mostly completed by the 15th century, with embellishments continuing through to the 18th century. It is prototypical of the urban castle-houses of the turbulent medieval communes of Northern Italy. Rocca Sanvitale is now partly a museum and partly offices and conference hall for the town administration. Of a particular interest is the optical chamber (camera ottica), that has an optical system that projects to an inside wall a view of the town through mirrors and a prism.